Javedan Corporation Limited (JCL) was incorporated on June 08, 1961, as a public limited company, under the repealed Companies Act, 1913 (now Companies Ordinance, 1984). 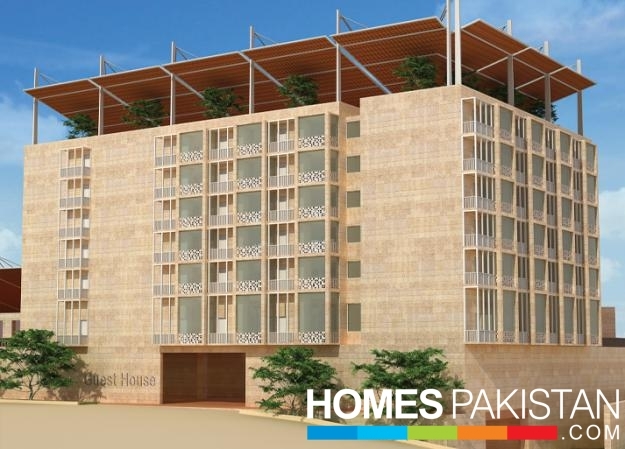 The company is listed on the Karachi Stock Exchange and its current registered office is located at 1st Floor, Arif Habib Center 23, M.T Khan Road, Karachi.Arif Habib Group is the largest shareholder and the business manager. 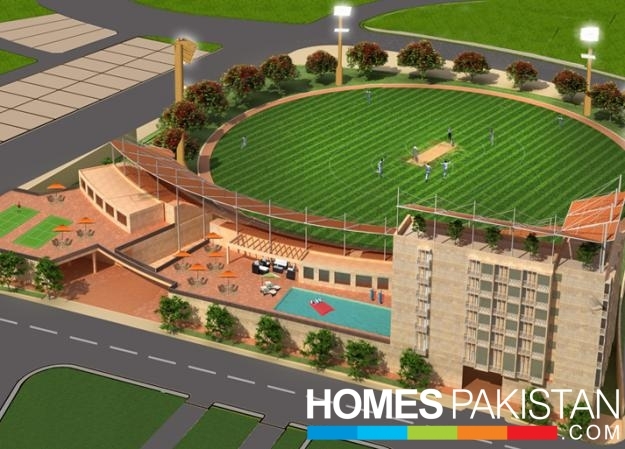 Naya Nazimabad is a project of Javedan Corporation Limited, that has broadened the horizons of Karachi. Our confidence in the potential of the city and its inhabitants got us started on this remarkable journey. 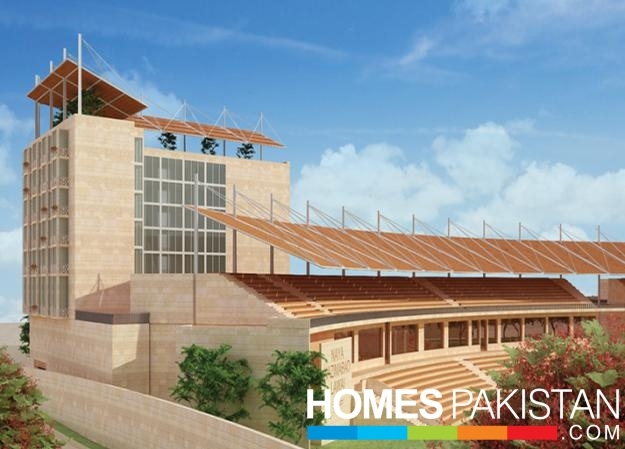 This has given a whole new outlook to the city of Karachi rather than a specific area. 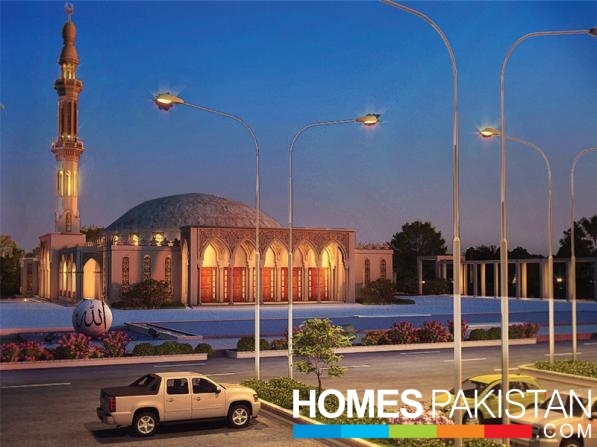 Naya Nazimabad has created an inspirational abode with affordable luxury that instills hope and certainty, which goes way beyond its gated boundary. 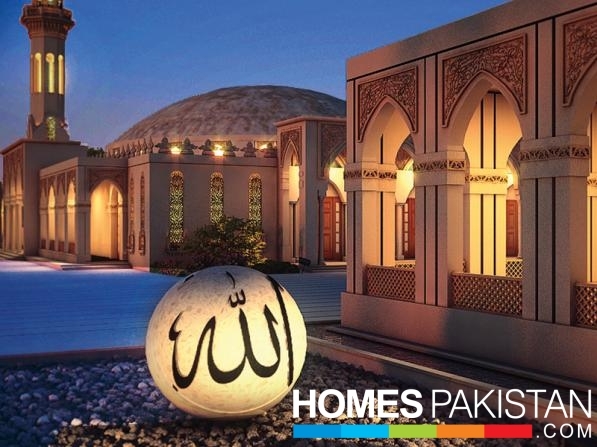 Naya Nazimabad is not merely a housing project but a value-for-money lifestyle concept that is tastefully designed to create the right space that aspires serenity, pleasing environ, alluring simplicity and unmatched harmony that makes it your Mark of Pride.To provide and develop quality affordable housing opportunities for individuals and families while promoting self-sufficiency and neighborhood revitalization. A composition of 120, 160, 240 and 400 square yards residential plots with well-developed master plan that ensures ideal community living. 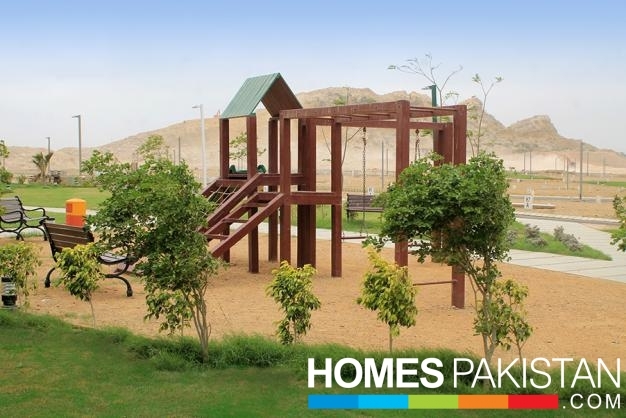 Every residential block has its own commercial area, masjid and parks within its own boundary wall with security check post. A visionary lifestyle that offers modern elevation, airy rooms, spacious lounge, contemporary kitchen, stylish bathrooms with splendid fittings, astounding terraces and separate car parking areas with well-intact security will be provided to you in your house.Modern & Spanish style bungalows in 120, 160 & 240 Sq.Yds sizes with Single Story, One Unit & Double Story configuration. 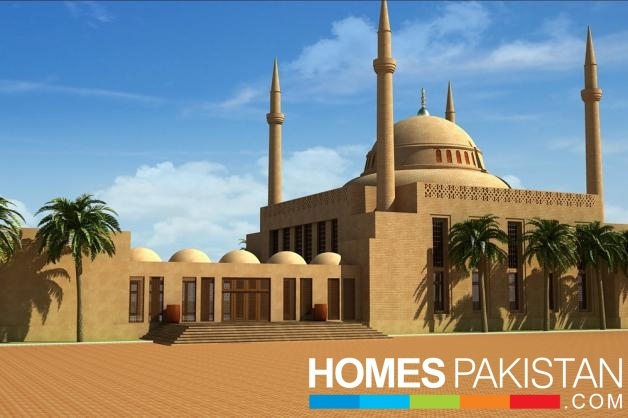 Jamia Masjid in Naya Nazimabad is a symbol of quintessential spirit of Islam. 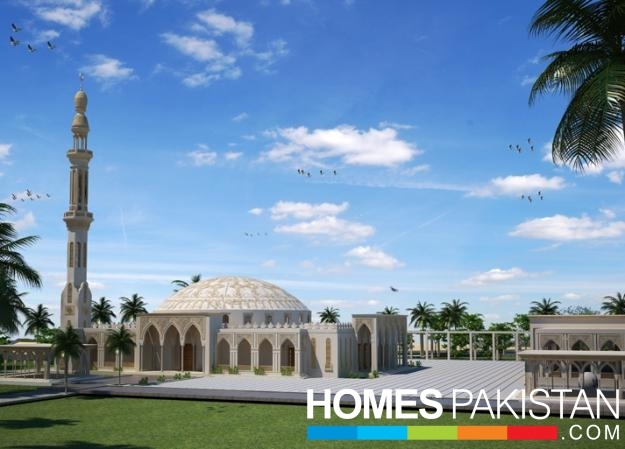 Spanning over 7 acres of land and accommodating ten thousand people, the masjid will reflect the intrinsic Islamic values of unity and brotherhood with pride. Exclusively allocated space for education complex expresses the endeavor to provide emblematic environment of schooling and learning for future generations in Naya Nazimabad and its neighborhood. Kindergarten | Primary & Secondary School. Beautifully designed multistoried building of Vocational Training Center is catered to provide extra educational trainings and skills to the youngsters of the community. 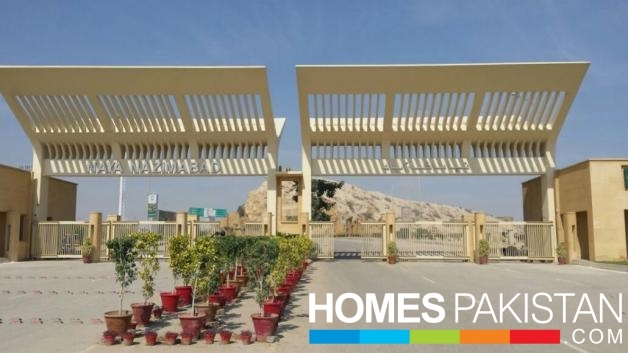 Dedicated plots for hospitals and medical complex to ensure the basic need of healthcare and medical facilities to be provided to all the residents, making Naya Nazimabad a healthy community that upholds an active lifestyle. 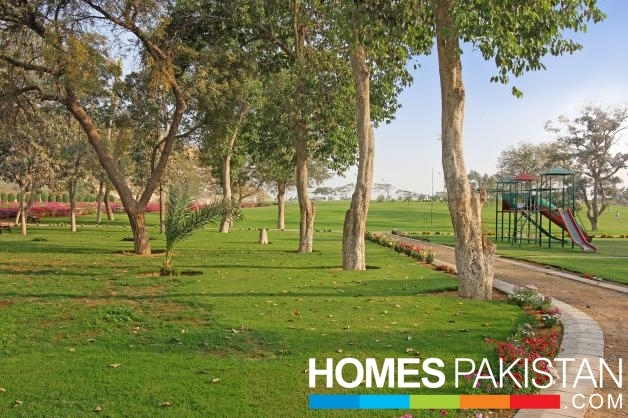 To rejuvenate body and mind and to enjoy a healthy and stress free living, a club house will be there to welcome you with all top of the line recreational and sporting facilities. Horse riding is so much fun! There is nothing better than the wind in your face as you and your horse move as one! The power they have is so much stronger than our own, taking us to places with full command and control.Riding horses certainly seems to set us apart as a distinct group. 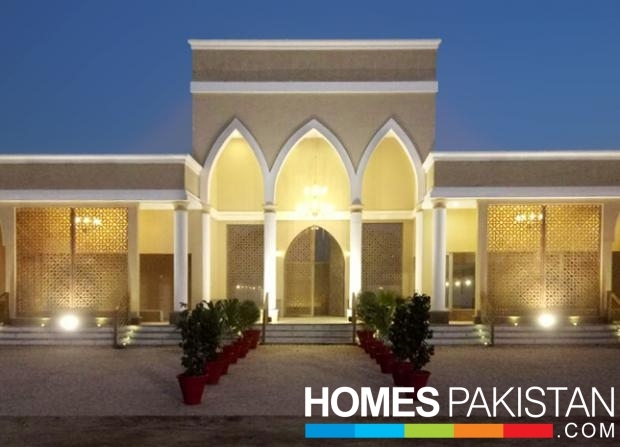 Naya Nazimabad gives its residents an opportunity to feel distinctive.